Neighborhoods. It used to be the norm not the exception that neighbors knew one another and did things together. A yearning to return to that communal model inspired a pair of Omaha women, Sharon Olson and Beth Richards, to create a neighborhood space that encourages togetherness over a shared passion for people, canning, conversation and community. Their Minne Lusa House in North Omaha has become a popular gathering spot for folks looking to connect and collaborate. Read my New Horizons cover story about these ladies and their special house. 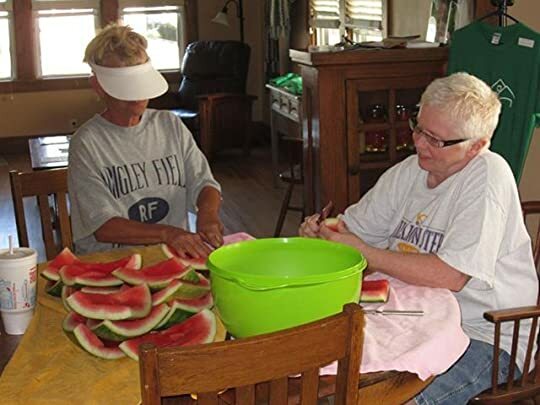 Close friends Sharon Olson and Beth Richards are the neighborhood moms, porch ladies and activists behind a popular project in northeast Omaha, the Minne Lusa House, totally of their own making. Without a grant or loan to assist them, they bought and restored an old, run down house in their Minne Lusa neighborhood for the express purpose of making it a place of social engagement. 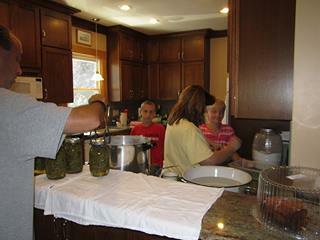 It’s an expression of their shared love for people, conversation, canning and community. The tan, stucco structure at 2737 Mary St. is a kind of neighborhood clubhouse where folks come for private canning lessons, public workshops and the every Saturday Morning Brew open house. Groups hold meetings there. Writers, artists and others use it as a quiet sanctuary for creative inspiration and meditation. The women fixed up the house with the sweat equity of friends, neighbors and local contractors, tearing down walls, gutting entire rooms, replacing the attic floor and making many major improvements. The cozy home includes a pantry with metal shelving units filled with jars packed to the brim with canned tomatoes, bruschetta, spaghetti sauce, salsa, pickled peaches, sweet and dill pickles, relishes, jams and jellies. The pantry has two antique tools used during the canning process – a hanging scale and a pestle and mortar from her druggist grandfather. More shelving units store the pickling spices, flour and other ingredients used in the canning and baking that goes on there. When truck loads of corn or bushelfuls of tomatoes come in from community gardens and local farms there’s a buzz of activity as folks gather to shuck, peel, chop, boil, spice and can the bounty. It’s a throwback to the canning parties and barn-raisings of yesteryear. Right-hand gals Diane Franson-Krisor and Diana McIntosh, part of the crew that helped Olson and Richards rehab the house, are regulars at the Saturday brews that feature hot coffee and tea and assorted homemade toppings and spreads to garnish freshly baked biscuits, turnovers and bagels. Richards is the canner and Olson is the baker. Millard resident Betsy Scott has become a Saturday devotee. Franson-Krisor grew up in Minne Lusa and she cherishes what the project provides. “I think it’s wonderful because every neighborhood needs a gathering place and they have really changed this area a lot. I’ve been here 52 years in a house on the corner and growing up was all about neighbors communing. That was the thing to do. All the mothers got together and the kids played. And this is bringing it back. Because it’s neutral ground, elected officials and public servants come to hear concerns from their constituency. Everyone from Omaha City Council members to the police chief have visited there. It’s a safe house for children and adults escaping trouble at home. When there’s an issue in the neighborhood, whether illegal dumping or unkempt property or illicit drug dealing, residents view Olson and Richards as the go-to resources to contact the authorities. When there’s something that needs organizing, the “old ladies” at the Minne Lusa House are among the first ones people reach out to to get things done. “You have to be a tough person to be down here,” says Olson. Friends say they personify the do-it-yourself independence, give-the-shirt-off-your-back generosity, puff-out-your-chest pride and glad-to-know-you warmth that characterizes Minne Lusa. Situated between Miller Park and Florence in a tucked away sector east of North 30th Street, Minne Lusa was formed in 1916 by Charles Martin, who designed a neighborhood with California Bungalow-style homes of wood, stucco and brick. The homes were built in what was a cornfield. A pretty boulevard runs through the heart of the area. Many homes and yards are beautifully maintained. The area’s enjoying a resurgence of interest because its character-rich homes featuring natural wood floors, ample windows, fireplaces, generous porches and detached garages sell at highly affordable prices. The house has hosted an arts and crafts show and may host another this fall. It also organizes the annual Trick or Treat on the Boo-Levard during Halloween. Minne Lusa Blvd. is decorated for the occasion. Efforts are underway to get Minne Lusa designated a National Register of Historic Places district. Olson and Richards support the initiative because they are so devoted to the neighborhood and generating appreciation for it and what makes it different. These women of a certain age grew up in a time when tight-knit neighborhoods were the rule, not the exception. Olson, a retired phone company employee, resides in the same Minne Lusa house she was raised in and she does all she can to preserve the sense of neighborliness and community she’s valued there all her life. Richards, who fell hard for Minne Lusa during 15 years as a mail carrier there, bought a house in the neighborhood and the retired U.S. Post office employee has made the area her home ever since. She’s flipped some homes there and she takes pains to only sell her properties to buyers with the same sense of community she has. Much as Olson did Richards too came of age knowing her neighbors, only not in Omaha but in the small town of Garwin, Iowa she grew up in. The friendly people of Minne Lusa made an impression on Richards because they reminded her of how the people in her hometown related to each other and she wanted to be part of that again. Among those she got to know on her route was Olson. Richards says they both joined the Minne Lusa Neighborhood Association about the same time. Their idea for the Minne Lusa House was to create an open space that draws people together. For years Olson held a block party on the stretch of Martin Ave. she lives on. Richards says it’s just one of many ways her friend “was working” on strengthening neighborhood and community before Minne Lusa House. For both women it’s a personal mission. They don’t take things lying down either. When renters in a neighborhood house were causing frequent disturbances with loud music and late night partying, Richards spring into action. Richards says the landlord promised to be more diligent about who she rents to. “They’ve got nice people in there now,” she adds. Olson says the problem of absentee landlords “isn’t just in our neighborhood, it’s anywhere east of 72nd. People can walk in and buy these houses for $20,000 or $10,000 and they do not put a dime into them and then they’ve got people renting that aren’t going to take care of anything. They don’t better your neighborhood, they destroy your neighborhood.” She and Richards say that many inner city vacant lots and abandoned homes are owned by landlords who live out of state and wont let go of the properties except for exorbitant prices. “It’s wrong, this whole system,” says Olson. Franson-Krisor says she’s learned to can, garden and do home improvement projects from working alongside Richards. 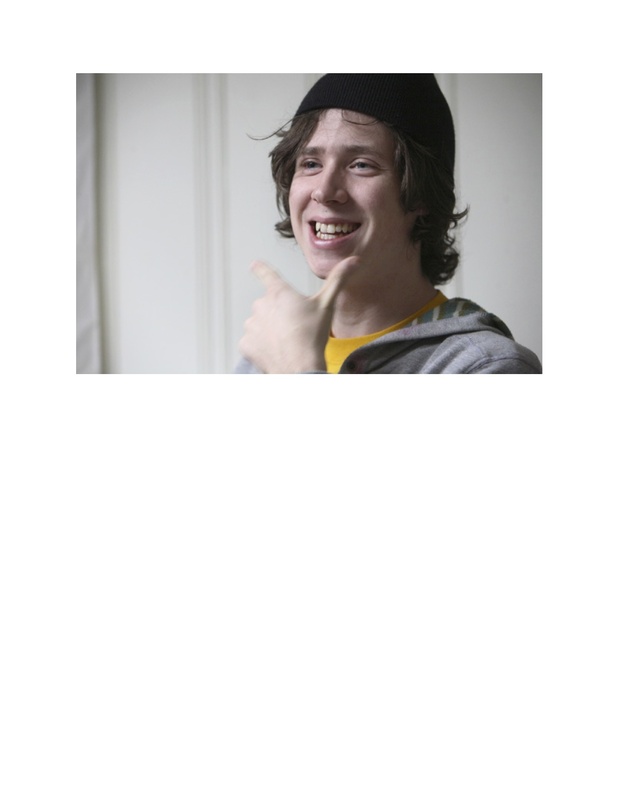 Olson fondly recalls a woman who learned to can at the house. “She sent the cucumber relish she made all over the country to her family and was the hit at Christmas, so she’s a memory to me.” Then there’s the mother and daughter team who come. The mother insists on sampling everything while the daughter busies herself canning. Upon leaving, the mother beams about how much “WE’VE canned.” The camaraderie is what she’s really after. A surprising number of young people, including families with small children, come to can. Two more Saturday morning regulars are husband and wife ministers John and Liz Backus, who live across the street and pastor at nearby Trinity Lutheran Church. Lots of laughter and stories ensue. “We’re going to have fun,” adds Richards. The women didn’t expect all the attention their endeavor’s attracted, including an Omaha World-Herald feature that helped put the Minne Lusa House on the map. As a result the house has become a magnet both for folks in the neighborhood and from well beyond its borders. 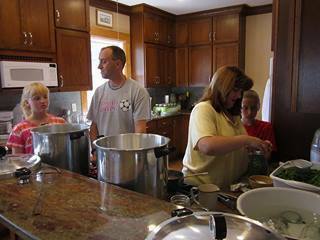 “We’ve had people from Council Bluffs, Papillion, Ralston, Gretna come down here for canning lessons,” says Olson. The way it’s caught on has taken the founders by surprise. Minne Lusa House captures people’s imagination. Donated boxes of jars and other canning supplies regularly arrive on the front porch. Harvested produce is left for the women to can. Proceeds from the products they make go right back into the house. 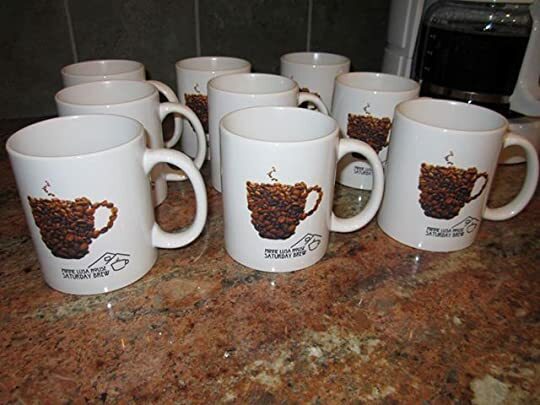 A Minne Lusa native living in Florida discovered the project and sent personalized coffee mugs. She and Richards don’t believe in planning too far ahead or following a strict plan. They just ride the wave and take things as they come. They’re not sure what the house’s future may be when they’re gone or decide to step down. “If something happens and we have to shut it down, then we shut it down, there’s no pressure,” says Richards. The 1918 built home was occupied by several families over its history, the longest period, 45 years, by the Joseph and Clella Frolio family, who resided there from 1961 to 2005. The Frolio children left some indelible marks in the home, such as a pattern of BB gun pellet holes in one basement wall and handprints in another basement wall. Here and there are personal touches by Olson and Richards, including a vintage rocking chair that belonged to Beth’s great-grandmother. A plaque hanging in the home’s front room details the chronology and names of the various people who dwelled there. The women hope to create a Minne Lusa museum in the attic to display the photographs and articles they’ve collected about the neighborhood they feel such a kinship with. The pair don’t like the bad rap North Omaha gets and they see the Minne Lusa House as a touchstone where people’s negative attitudes and perceptions about the area can be overturned. “It’s a concept you have to change and it doesn’t get changed overnight,” says Richards. 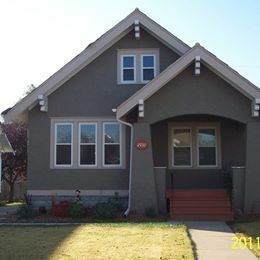 Keep up with doings there at http://www.facebook.com/minne.house.